Do you spend hours slogging over an article, wishing you could make the process quicker and easier? It's a common problem that all bloggers have suffered with at one time or another. While thinking about your site name, give a bit of thought to adding a strong tagline. The tagline or byline is a description of your website content which accompanies the name. The combination of a good name and tagline can be a very powerful and important part of your branding. One of the secrets that successful online publishers learn quickly is to create content that is relevant and has long-term value to readers. Here at SubHub, a lot of our most frequently asked questions are understandably based around SEO and everything it relates to - optimizing and ranking of sites, competitor analysis and so forth. For a while i've been meaning to write an article that answers most of the questions we're asked and provides some useful SEO tips. So here it is! In this case study retired bank manager Jim tells his story about how he moved to Spain without a job or income stream, but with determination and a lot of hard work created a very successful online business. A great step by step guide to starting an online business from scratch. Guest article by Alex Sysoef about the risks of using WordPress to run a membership website. Building trust between you and your audience is all about building credibility. Visitors want to know who you are and why they should bother reading what you have to say. 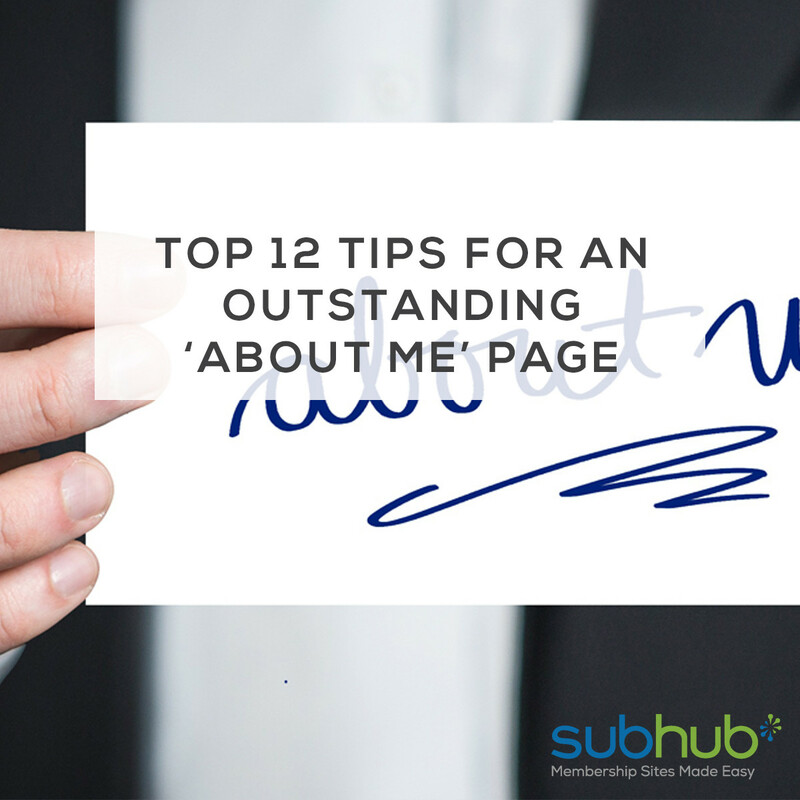 One of the most important pages on your website is the “About Me” page, but most people give it little thought and rarely spend time updating the information. This is a mistake. Publishing content for profit on the Internet is one of the fastest-growing areas of online business. New online magazines are being launched every day, covering every subject imaginable down to the most niche areas. The “Contact Us” page on most websites is overlooked and neglected, yet our research has shown that it is one of the most viewed pages on most commercial sites. Create a really good Contact Us page that is relevant to your audience, and it will boost sales.